'ClanDestine: Family Ties' review: A fun superhero comic that will take you back – AiPT! Davis is a master at crafting a superhero story. Alan Davis is one of the most prolific writers in comic book history. With a resume that includes Batman and The Avengers, the English writer and artist has worked with some of the biggest characters in comics. One of his most celebrated runs was his late 1980s run on Excalibur with Chris Claremont. In 1994, Davis created a group of superheroes known as the ClanDestine. The first series was received well by critics but did not really catch on with fans and was cancelled within the year. 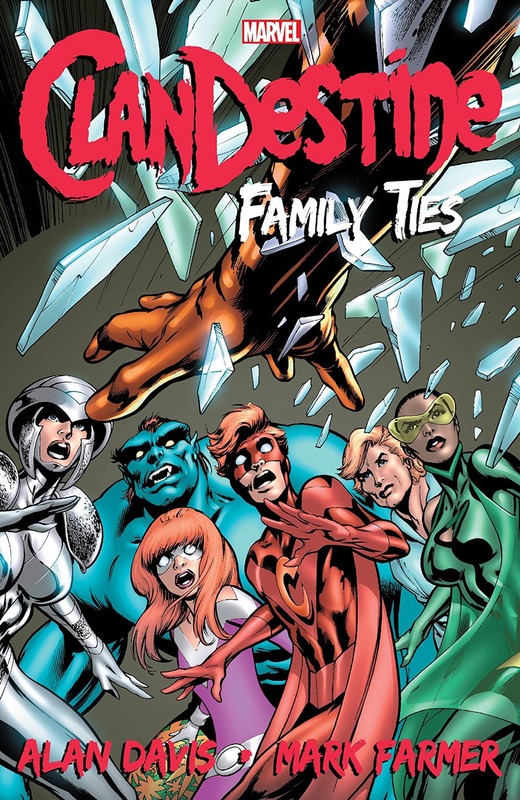 A five issue miniseries was published in 2008 and has been collected in ClanDestine: Family Ties. The Destines are a family of superhuman beings that go back the the twelfth century. Members of the large family live remarkably long lives and for the most part try to go unnoticed by the rest of the world. However, that’s easier said than done when you are a nearly immortal superhero. A large part of this is due to the almost throwback style of Davis. The detailed art in ClanDestine is filled with emotion and yet the book has a decidedly fun look to it. The story can get dark at times but even during these moments the art has a joyful look. Davis does a great job of communicating how high the stakes are without ever taking away from the sense of adventure. The writing of Davis also draws the reader in. Davis has a style that conveys humor and heroics at the same time. Much like his art, Davis’s writing is able to get across a sense of fun without ever downplaying the gravity of any situation. Davis is masterfully able to get across character emotions so well that there is no need for a narrator or long inner monologues throughout ClanDestine. The Destines themselves are incredibly interesting characters. Twins Rory and Pandora are not just two superpowered beings who are naturals at saving the world. The two are still trying to figure out how to be heroes while attempting to make sure they are not the end of their family line. If that sounds like a trope, it’s because the Marvel Universe is filled with new superheroes trying to figure out how to use their powers. What makes ClanDestine different is the sense of awe and wonder we get from the would-be heroes. Davis is able to humanize his creations by simple having them show amazement. There is one drawback to Davis’s work. His writing and art style may be too niche for modern comic book audiences. The art is great and the wordplay is clever, but it is also a product of its time. Older fans or those looking for something just a little different will be drawn to the book, but those who’ve grown up on the grittier and more dramatic comics may not be interested. ClanDestine: Family Ties is a well written story that deals with self doubt, familial bonds, and the nature of heroics while still managing to have a sense of fun and adventure. This is a great read for any fan of Alan Davis. Alan Davis is an extremely talented writer who will appeal to older fans for sure and newer fans in the market for something different.